Achieve ultra clean and healthy skin with a double cleansing regimen that begins with PreCleanse. This plant-based cleansing oil fortified with Olive and Kukui oils thoroughly melts layers of excess oil sunscreen waterproof make-up environmental pollutants and residual skin products that build-up during the day. 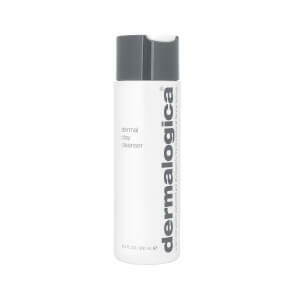 When water is added it transforms this water-loving formula into a milky emulsion easily rinsing away oil-based debris from the skin's surface and allowing your cleanser to penetrate even further for professional cleansing results. Formulated with conditioning Rice Bran and Vitamin E oils this gentle blend can be used around the eye area to even remove waterproof mascara. Offers a deep cleansing ideal for even the most oily skin conditions. Vitamin E Oil a rich antioxidant helps improve skin smoothness and softness. I have skin that seems to react (rash face and pimples) to a loooooot of skincare. My skin is fine with this which is great! 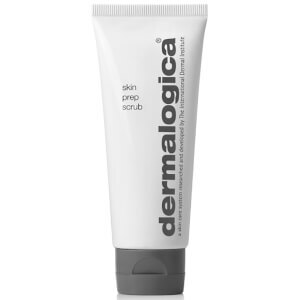 This works well and I really feel like I am doing a great deep clean when using it, and it gets rid of my thick layer of moisturiser and sunscreen no problems. One warning- do not use it near your eyes!!!! I attempted to take off some eye makeup with it and whilst it was successful the stinging I then experienced was intense. Learn from my mistake! My only other issue is it’s really runny so it can be a bit difficult to make sure it’s not running down my arms and when closing the pump it kind of flicks a few drops of it across my bathroom. Overall really impressed though! I’d repurchase. I've been using this product for several years and really love it. It can be used on any type of skin and leaves your skin feeling very clean but not dry. Highly recommend it. This product is excellent for removing make up. It leaves your skin feeling fresh however the new pump action packaging is terrible as the product is continuously leaking out which is such a waste ... Wish they would go back to the original packaging. Love this product. Gets rid of all impurities that form overnight and when used with UltraCalming Cleanser, my skin feels softer and more cleansed than it ever has. Oh it's grand! I love this as it is a great makeup remover and I even use it on my eyes! I then finish with my regular cleansing scrub and I feel fantastic! A must for a committed skin care user.